Bringing extensive experience in customer care and sales to her position as a respected real estate agent, Melissa Cowart offers clients an outstanding level of service. Her clients and colleagues alike value her talent for relating to and communicating with individuals who seek to sell or purchase property in the Upstate. 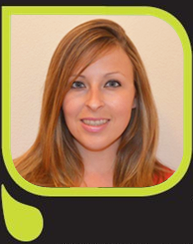 In 2007, Melissa began her official career as a real estate agent working the Greenwood area. She received her training from Wyatt Institute and holds an associates degree from Piedmont Technical College. Before becoming an agent, Melissa worked beside her mother in assisting the family with real estate investments and began making her own real estate investments at the young age of 17. By 18 years of age, Melissa was in management of a jewelry store where she began her training in customer care. "I was trained to generate sales by learning the needs of my customers and communicating with them," Melissa stated. The result of that consummate professionalism has established a reputation with clients and colleagues alike for timely responses and assistance. Deeply rooted in family values, Melissa is a proud mother of three girls. She jokingly credits her experiences with motherhood for her innate ability to work through problematic real estate transactions. Melissa has been involved with the Humane Society, taught Sunday school, was a children church coordinator and participates in a variety of other volunteer services. Melissa uses her leisure time enjoying outdoor activities and continuing her education. SC Real Estate Investors motto is "Invest in the Best." Melissa emphasizes that "what makes us the best is what we invest." Time, care and expertise is a priceless service that can make any real estate transaction a success. Contact Melissa Cowart today for premium service.